WASHINGTON — European rocket builder ArianeGroup, the company leading development and production of the Ariane 5 and upcoming Ariane 6 rockets, on Sept. 4 awarded a contract to a Swedish supplier for a reusable engine program. 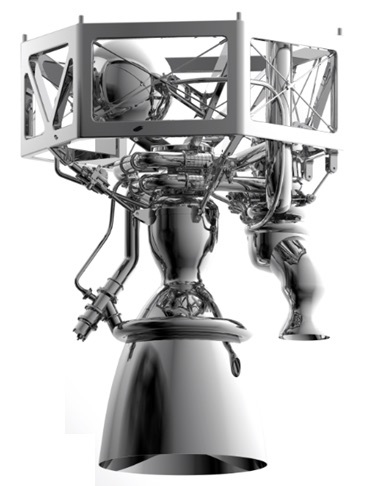 Prometheus is one of a growing number of engines being designed to use methane. SpaceX’s Big Falcon Rocket calls for 31 methane-fueled Raptor engines for the reusable booster and seven more for the reusable spacecraft. The BE-4 engines Blue Origin is making to power its New Glenn orbital rocket also burn methane, as does Zhuque-2, a Chinese rocket that startup Landspace envisions launching in 2020. Prometheus isn’t expected to see use until 2030, though ArianeGroup has said in the past the engine could be used on the expendable Ariane 6. The European Space Agency signed a 75 million euro ($86.7 million) contract with ArianeGroup in December for the first two Prometheus prototypes. The agency said then that knowledge of liquid-oxygen-and-methane propulsion systems from Prometheus “will allow fast and informed decisions to be made on useful applications” by 2020. Prometheus can power the first and second stages of a rocket, and “will propel a range of next-generation launchers, including future evolutions of Ariane 6,” ESA said.